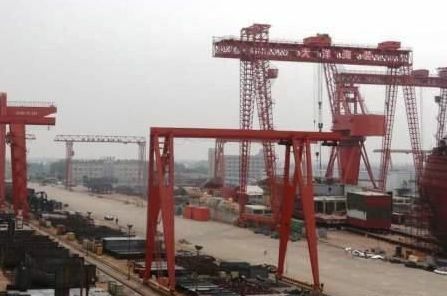 Chinese state-run China Aerospace Science & Industry Corporation has announced that a subsidiary of the company has signed share transfer deals with two independent shareholders of Jiangsu Dayang Offshore Equipment to acquire a total of 65% equity in the shipyard for RMB85.8m ($12.6m). Jiangsu Dayang Offshore Equipment, formerly Taixing Sunhoo Shipbuilding, was established in 2007 and mainly builds offshore support vessels. The shipyard applied to list on NEEQ (National Equities Exchange and Quotations) at the end of 2015, however the listing eventually fell through due to the shipyard’s poor financial status. Upon completion of the takeover, Dayang Offshore Equipment will quit the commercial shipbuilding business and focus on military training ships.